Today in Masonic History Thomas Hay-Drummond, 11th Earl of Kinnoull passes away in 1866. Thomas Hay-Drummond, 11th Earl of Kinnoull was a Scottish peer. 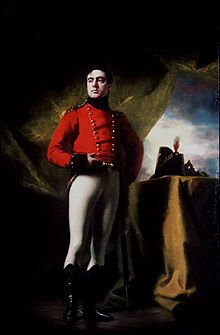 Hay-Drummond was born on April 5th, 1785 in Bath, Somerset, England. He was styled Viscount Dupplin from the age of two until he inherited the title of Earl of Kinnoull after the passing of his father in 1804. At the same time Hay-Drummond was appointed as the Lord Lyon King of Arms, the head of the Lyon Court and the junior most of the Great Officers of State in Scotland. The Lord Lyon King of Arms is responsible for regulating the hearldry in the Scotland. This includes keeping a registry of the coats of arms used in the country. The title Lord Lyon came from the lion on the coat of arms of Scotland. He served as Lord Lyon King of Arms until 1866. In 1809 Hay-Drummond strated serving with the Perthshire miliita. He served with the militia until 1855. In 1830 he was made Lord Lieutenant of Perthshire. The Lord Lieutenant is the direct representative of the British Monarch in each county of the United Kingdom. Hay-Drummond passed away on February 18th, 1866. Hay-Drummon served as the Grand Master of the Grand Lodge of Scotland from 1826 to 1827.